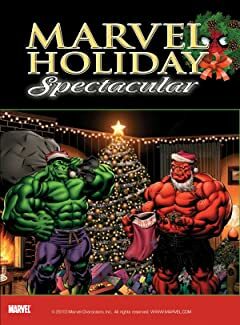 Santa's carryin' a swingin' bag of sweet surprises this Christmas as the MARVEL HOLIDAY SPECTACULAR comes your way with a giant-size extravaganza of Marvel fun! 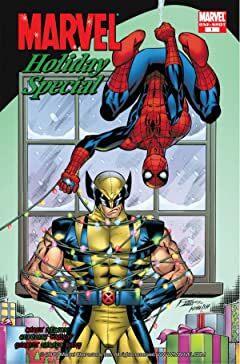 Besides an exclusive interview with St. Nick himself, we'll be compiling the ultimate Christmas gift-giving guide for Marvel fans. 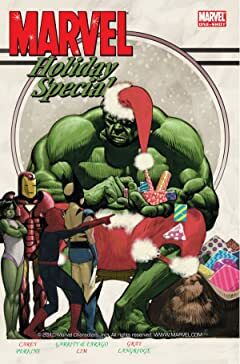 (Because Santa can't put everything under the tree!) 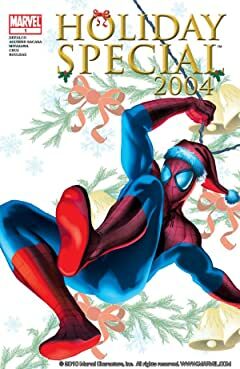 Plus, we'll have a bevy of classic Christmas-themed comics, some of which will see print for the very first time! 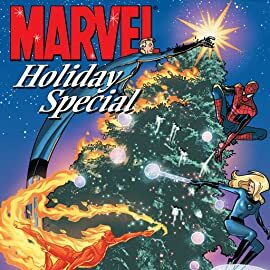 So enjoy Christmas with the X-Men, Werewolf by Night, the Illuminati and others in the MARVEL HOLIDAY SPECTACULAR, required reading with a glass of eggnog and chestnuts roasting on an open fire! 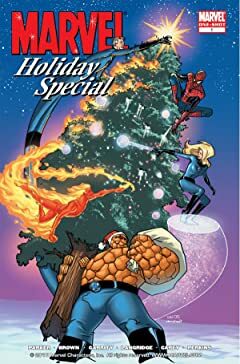 Square-bound Magazine Format.